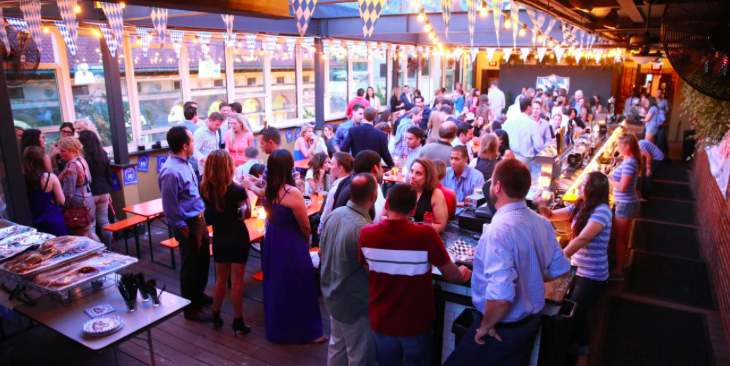 Sauf Haus Bier Hall & Garten is a full service event space, and multi-level venue located in the heart of Washington, D.C.'s DuPont Circle neighborhood. 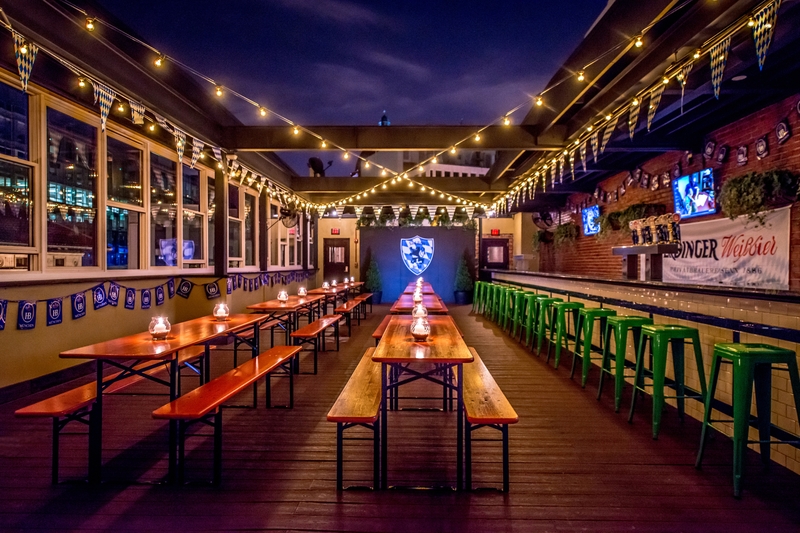 Specializing in German biers, the venue boasts two, fully stocked inside bars, as well as a fully covered roof-deck. With capacity of 300 people, Sauf Haus offers a versatile space to host an array of events. Ranging from alumni meetups, birthday parties, corporate receptions, formal dinners, client happy hours, wedding receptions and more. Full catering services, event coordination and management are all available.